One room at a time, we're actually starting to make progress on the house! The bathroom is the most recent room to get a facelift and it was in desperate need. When I put up a before photo on my Instagram stories, I got a few messages from people asking what was actually wrong with it because it looked fine, well... The people who owned our house before us seem to have had a knack for making things look ok but functioning really, really badly. Joy. 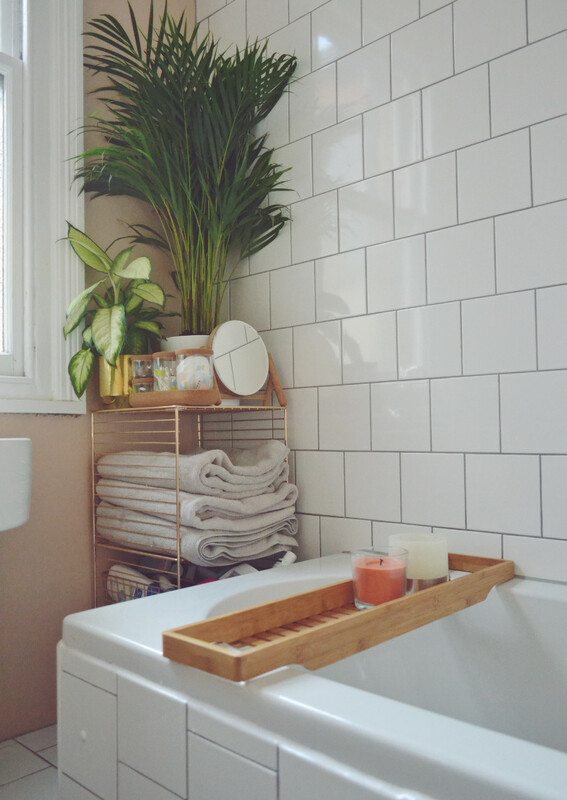 We had a bit of savings put aside to tackle the bathroom and decided it was the right time to get it sorted so I could have a bath to soothe my preggo back and so it would be suitable for a family of three with a baby. More of a necessity than anything else! 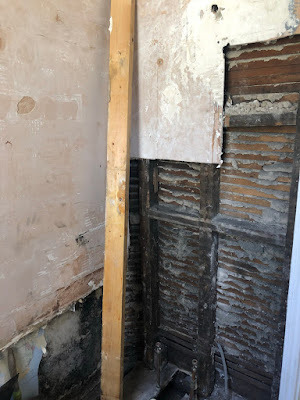 It was less of a 'let's build our dream bathroom' and more of 'let's make sure we don't fall through into the kitchen in a mould infested mess or freeze to death in the winter' kind of project. One where we were making sure the bathroom was practical for a baby and human consumption. The tiles had been done so badly that water from the shower had leaked through the grout, covered the wall with mould and leaked through into the kitchen potentially making the floor a death trap. 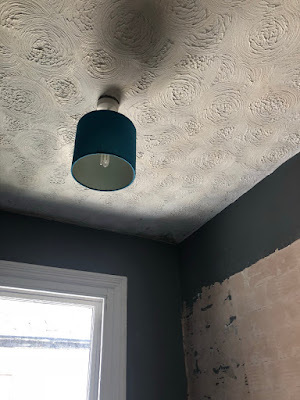 We also didn't have an extractor fan, a radiator, bath panel, a light fitting that could support more than a questionable blue lamp shade, storage or a shower from this century. As well as the original floorboards being open to the elements meaning even more water could go through into the kitchen, which it did on the regular. Thankfully we had a recommendation for a good builder from our next door neighbours who had done quite a lot of work on their house so we knew we had someone we could trust. He could also do all the work we needed in a couple of weeks so we only had about a week without a shower or bath, we spent a lot of time at the gym that week! We didn't need to replace the sink and the toilet thankfully so the bathroom wasn't completely out of action. Much like with our kitchen renovation it looked fine before (apart from the temporary grout fix in the shower) but that was just on the surface. 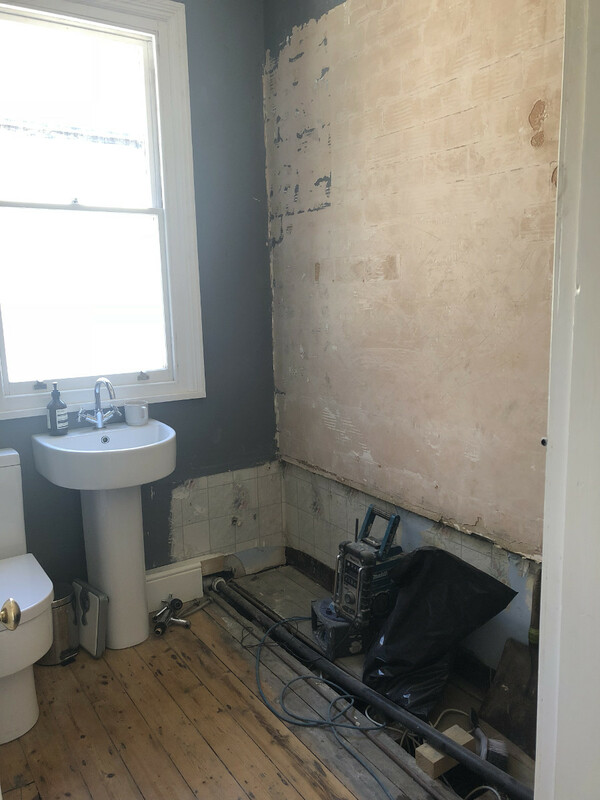 I've added photos below of the during phase too and the black mould behind the tiles and under the bath was a nightmare, thankfully it was all structurally sound so we just had to have it reinforced rather than replaced which kept it well under budget, phew! Andy our builder planned for it to take two weeks with him being in four days a week which is a pretty quick turnaround for the amount of work that he did. It ended up being exactly the amount of time he said in the end which was ideal, we've had good luck with renovations so far this year. 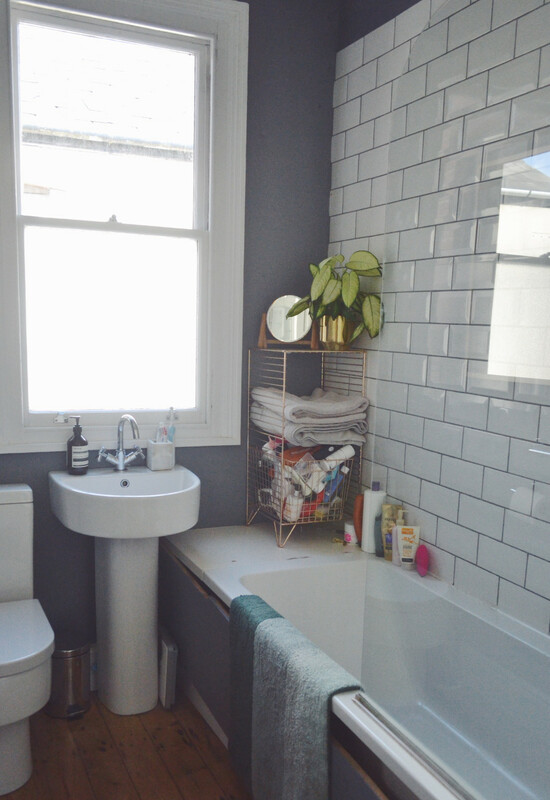 We are SO much happier with the bathroom now, I've had more baths in the past week than I had in the 18 months we've lived here because I know I'm not going to fall through the floor! 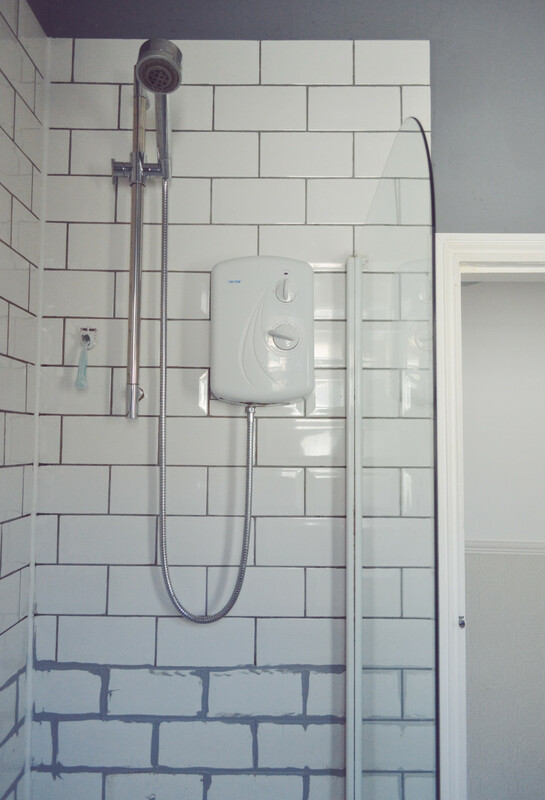 In case you're interested we had the bath replaced, a new shower, extractor fan added, heated towel rail installed, a new (waterproof!) floor, the floor under the bath reinforced, new tiles (including the bath panel), a new glass shower panel, a new ceiling and spotlights putting in. There is now space for more storage at the end of the bath which I'm sure will soon be filled with baby related paraphernalia. One of my favourite things about the new bathroom is the tiles, we decided to go for square over subway like we had before and I'm really happy with how they look. 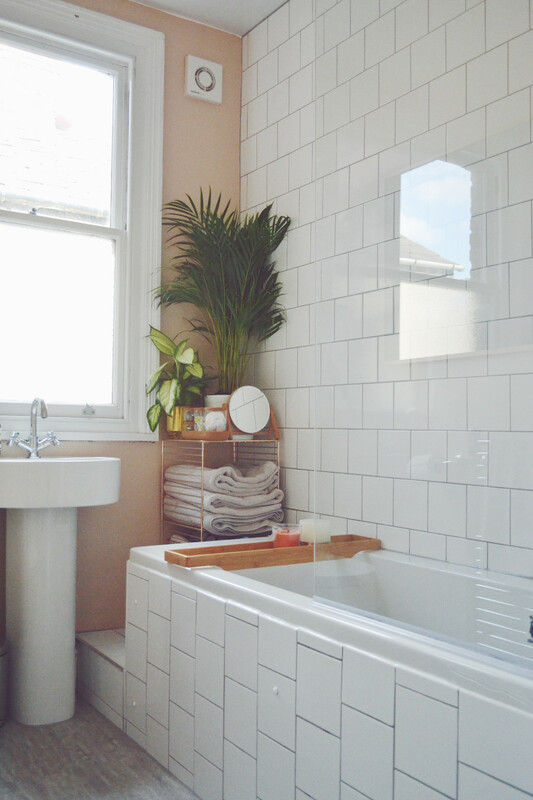 We were lucky enough to work with the lovely people at the Yorkshire Tile Company for this project who were SO incredibly helpful with helping us choose the tiles. 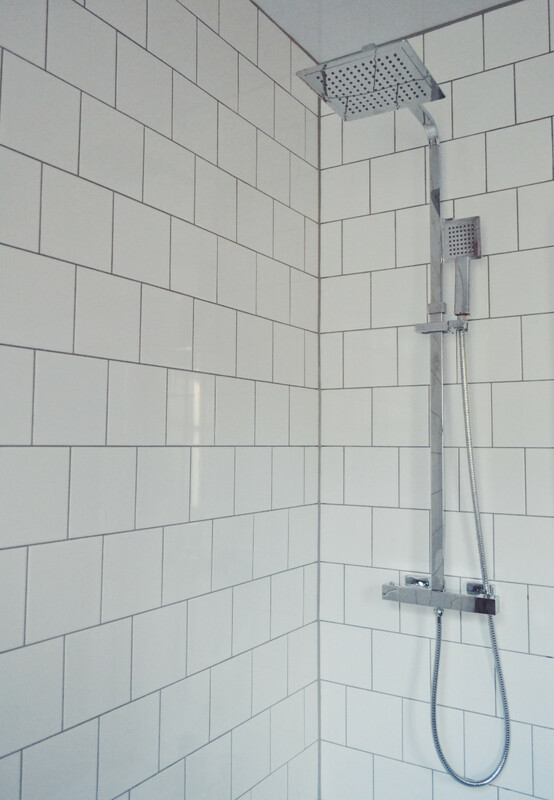 We went for their 150x150 gloss white tiles* which I'd really recommend if you want to go for square tiles. 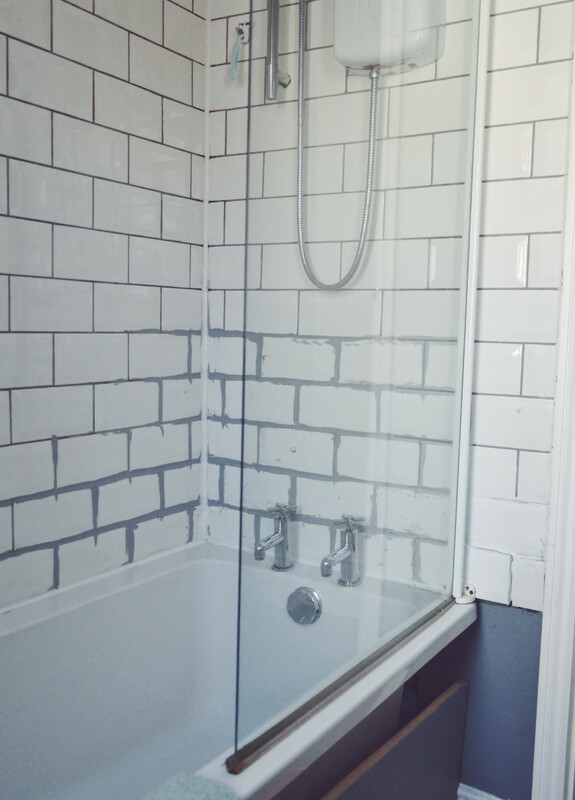 We also used the BAL Micromax2 in Smoke* as we wanted a contrasting grout, I love how this looks! YTC are also treating you to 20% off tiles until the 3rd of July, use code ILIKETWEET20 in store or online. Applicable on full price only. 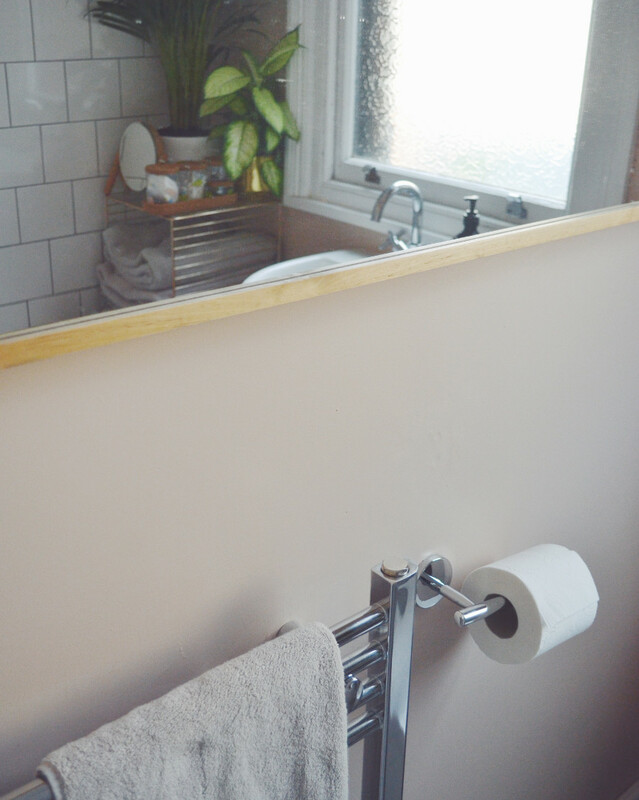 I also gave the bathroom a fresh coat of paint as we wanted to brighten it up from the dark grey it was before. 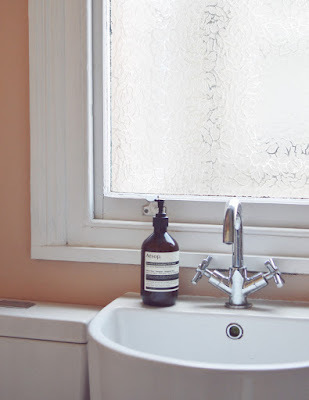 We both liked the Farrow & Ball Setting Plaster which is a really pale pink/orange but because they didn't have this in a bathroom paint, I had it mixed at Valspar in B&Q. It's a pretty spot on match and means it's easy to clean and mould resistant, plus half the price of F&B. I'd recommend doing this if you have a perfect shade in mind but need kitchen or bathroom paint, it's so worth it in the long run. 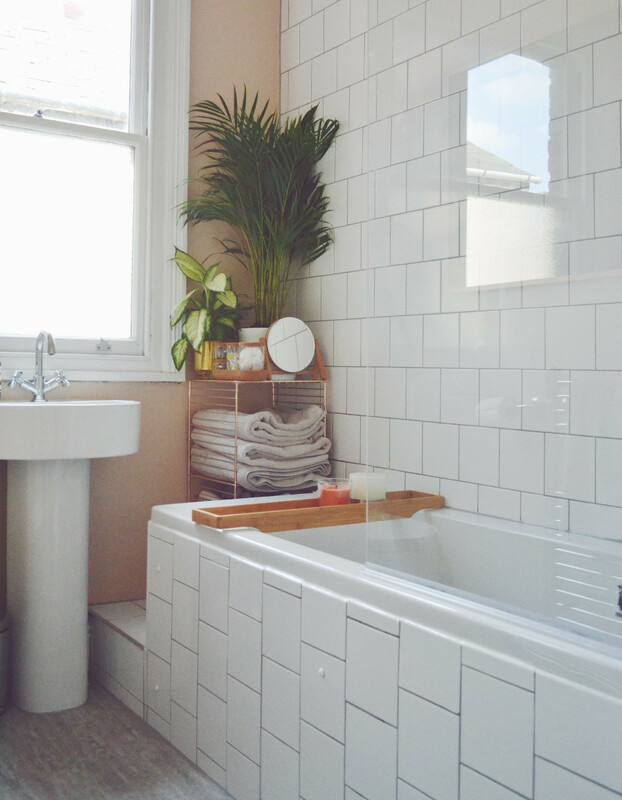 We had the original floorboard covered with a waterproof vinyl click flooring from B&Q in a cement look, this is not my favourite part of the bathroom at all but is very practical for the years we have ahead of us! It's really easy to remove and re-do if we decide to go for something else in the future but it'll do for now. 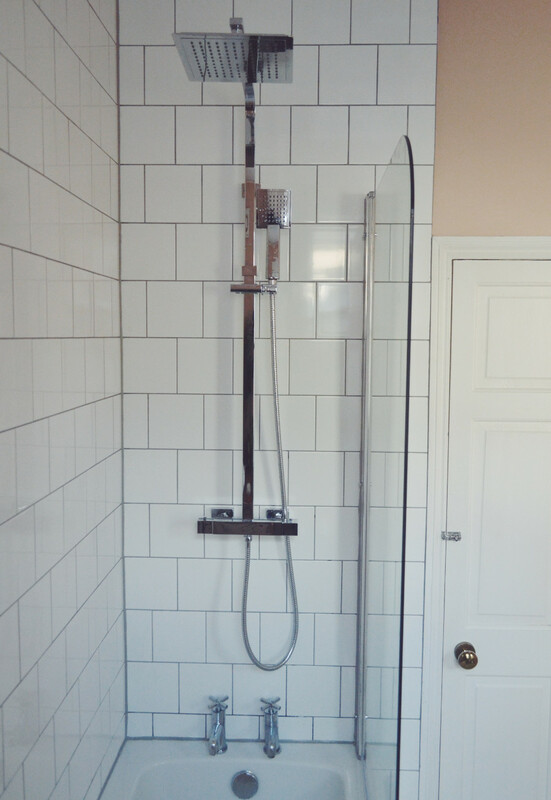 We had a new waterfall shower installed that runs off the main water supply rather than the old electric one we had before. This is such a treat, it feels like a hotel shower! The water pressure isn't quite as powerful as we'd like but hopefully that's a relatively easy fix for Andy to pop back in and sort. 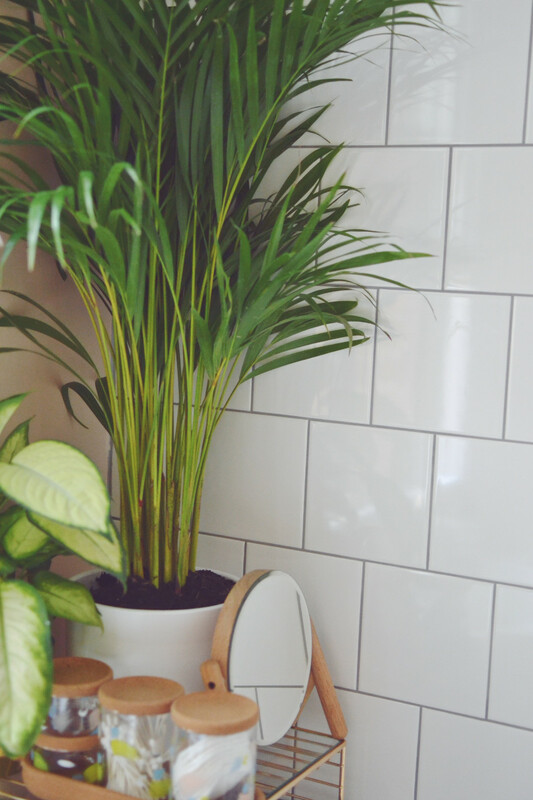 It's the finishing touches that make a room feel like home and it was exactly the same in the bathroom, it felt like a bit of an empty shell until I filled it up with nonsense. We are planned to have shelves to the right of the window eventually but for the time being we're keeping the brass shelving unit from Next because it is really handy, it's now out of stock annoyingly. Now with the added storage room at the end of the bath it means that we have space to hide away all of the bathroom bits and bobs. I kept the same plant we had in the bathroom before but got him a new tall friend from B&Q (which are actually cheaper in IKEA fyi) who is very much enjoying the humidity. We've also kept the Zara round mirror (similar-ish here) and added in my DIY storage jars for handy things like cotton buds and cotton wool. 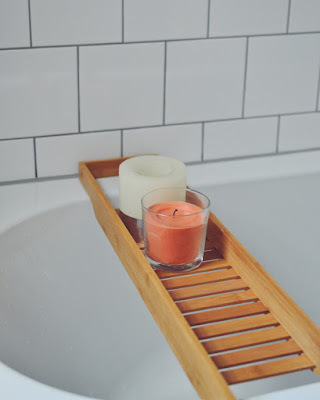 Our towels are from Christy, bath rack from Clas Ohlson and candles from IKEA and Arighi Bianchi. 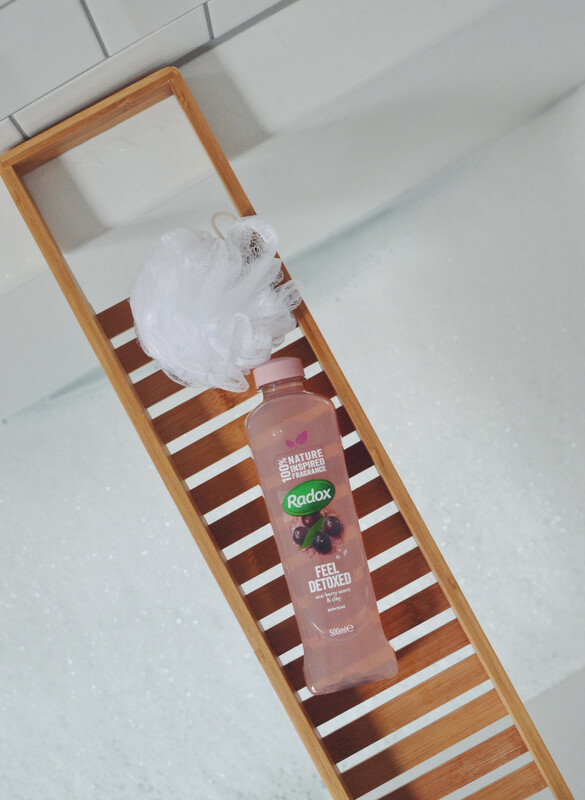 The lovely people at Radox also sent us a little new bathroom present of their Feel Detoxed acai berry and pink clay bubble bath* which smells SO good and makes the biggest bubbles. It's only £1 in Tesco at the moment, well worth a try if you're as into baths as I am atm. 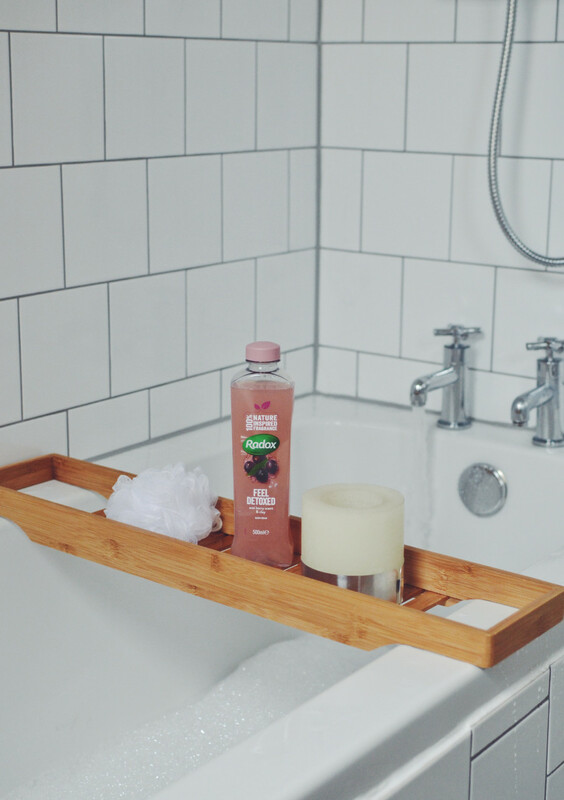 Having a bath has been helping me sleep so much and meaning my back ache doesn't wake me up at night any more, worth every penny that we spent on the bathroom in my opinion. If you have any questions about our renovations, please don't hesitate to leave a comment, drop me an email or tweet/comment on Instagram! The tiles and Radox bubble bath were gifted in this post for clarity, nothing was sponsored or paid for, it was all done with our savings. 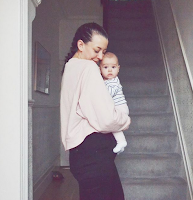 Love the reno results Clare! Where's the copper towel rack from? Thanks love! It's from Next but it's out of stock now, boo.